Shaun Abrahams: What was his actual role and motivation? 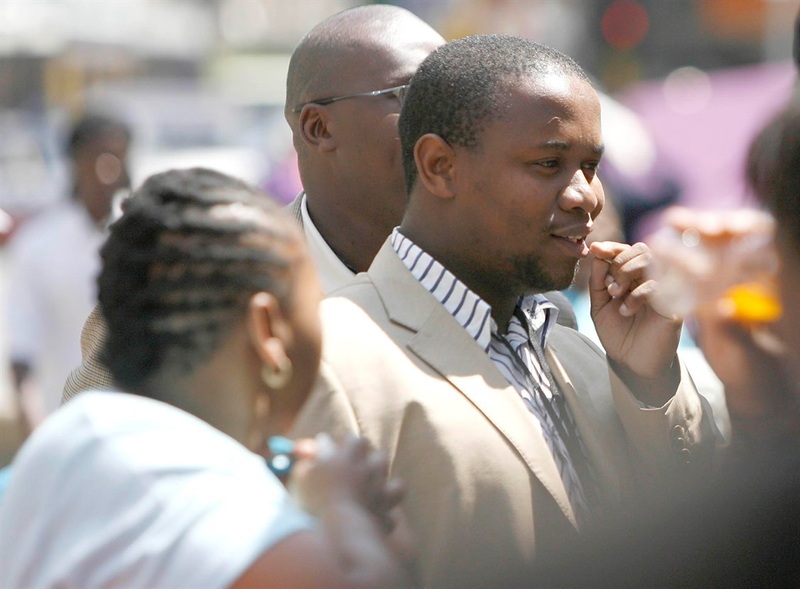 President Jacob Zuma’s eldest son, Edward, has poured cold water over mounting pressure for his father to resign, saying people must just accept that he is not going anywhere. In defending his father, he fingered Deputy President Cyril Ramaphosa as being among the senior ANC leaders who were captured by the prominent Rupert family, yet everyone was fixated on Zuma. “Whoever wants the president to leave might as well go somewhere and start his or her own country. That person must in fact begin to build his or her own country because President Zuma is not going anywhere,” he told City Press. Edward said that Zuma was “elected by us and we are going to defend the ANC”. He said the ANC cannot be told by people what to do, especially by opposition parties or civil organisations. As part of a strategy to defend the ANC, Edward is coordinating a group on messaging platform WhatsApp that includes members of Parliament, ministers, businesspeople and intelligence operatives. He said those in the group – named the Black Board Foundation – have joined it in their capacity as individuals, nothing else. He said members came together based on issues identified as civil society. One of them, he said, is the fact that “the ruling party is under attack from various corners of this world”. “The group was solely formed to defend ANC policies and the party. If the ruling party is then led by the president so be it, then we are defending that leadership,” he said. The first battle would be to fight attempts to get National Prosecuting Authority head Shaun Abrahams fired. Freedom Under Law and the Helen Suzman Foundation have gone to court to get Zuma to suspend the embattled Abrahams. “If these organisations say to the president he must remove Shaun Abrahams, then we must challenge that. We will vehemently oppose any attempts to remove Abrahams,” Edward said. He said the same would go for any matter that was brought to court by the opposition parties. Edward wants the commission of inquiry into state capture – as recommended by the Public Protector – to be broadened beyond the Guptas. “Why is it a problem when we say you must probe the banks? They themselves have captured that state. And who is it that they are using to capture the state,” he said. He claimed that some senior ANC leaders were long captured by the Ruperts, whom he described as the real crooks. He mentioned Ramaphosa, adding that he was where he was because of Richemont boss Johann Rupert, and was now returning the favour. He suggested that it was those families who were fiercely defending people like Mcebisi Jonas – who also happens to be the chairperson of the Public Investment Corporation – because they wanted to take over the National Treasury. “When the president says to them can I take the treasury to the working class, they fight with the president,” he said. Edward said he and other members of the Black Board Foundation were planning to acquire banking licences. “We need a bank registered under us as blacks in South Africa. We will fight this thing. If needs be, we will fight, let’s go to war. He said they were also going to demand that mining licences be given to black people and would not take no for an answer. Other plans on the pipeline include buying any media house on offer. The group has already started making presentations in various sectors to achieve their goals, he said.